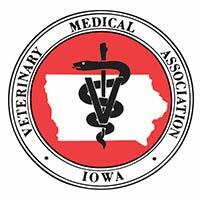 Iowa Veterinary Wellness Center offers veterinary orthopedic manipulation (VOM) therapy for minor adjustments in spinal and hip areas. While VOM therapy is often thought of as chiropractic care, and in essence demonstrates some of the same effects, it is not in actuality a hand manipulation therapy. VOM therapy utilizes a small hand tool, often referred to as an activator device, to make small manipulations along the spine and hip areas. VOM therapy is useful, and in most applications safer than hand manipulation therapy. VOM therapy provides relief from orthopedic and spinal disorders that cause chronic pain and discomfort. It can also be used for acute injuries as a means for pain relief. 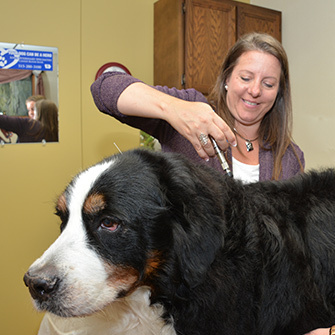 The veterinarians at Iowa Veterinary Wellness Center most commonly utilize VOM therapy in conjunction with acupuncture to provide sustainable results and relief for your pet. Please call us to learn more about veterinary orthopedic manipulation therapy or to make an appointment for a consultation and evaluation to see if your pet could benefit from this service.